D2L Brightspace is BSU’s Learning Management System. Most online and in-person instructors choose to use D2L Brightspace to augment their classes. They may post the class syllabus, links to videos, quizzes, supplemental materials, homework assignments, or start an online conversation. To access your class’s online component, you’ll need to use your StarID. D2L Brightspace uses MnSCU StarID for log in. D2L Brightspace accounts are automatically created for all students enrolled in online courses, or classes that have an online component. You will be able to access D2L Brightspace two weeks prior to class start, but your class work-space will not be available until the official first day of class. You can use this opportunity to familiarize yourself with D2L Brightspace’s features and navigation. New students, you will receive first-time log in information for D2L Brightspace from the Admissions office. Returning students, if you need help resetting your StarID password, we have instructions in our knowledge base. Log in to MyBSU with your MyBSU credentials. If you have previously entered and saved your StarID credentials it will take you directly into D2L Brightspace, if not follow the wizard to activate/enter/save your StarID to MyBSU. Log in directly with your StarID credentials. This method is useful if MyBSU is experiencing problems. Students, having trouble with D2L Brightspace? Check out our knowledge base to find the answers, or contact the Help Desk. 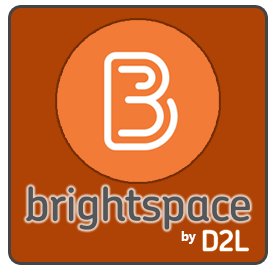 Faculty, if you need assistance with D2L Brightspace, please contact the eLearning office.